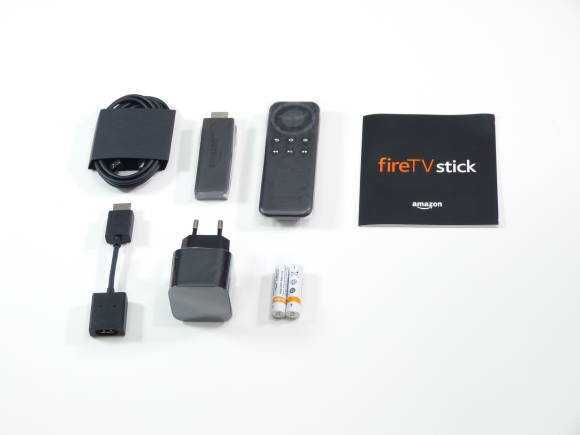 Amazon’s Fire TV Stick is similar to Google’s Chromecast. Both are small HDMI-connected Internet media streaming devices. Chromecast is designed to be driven from an Android device or the Chrome browser. There’s no built-in user interface and there’s no remote control. The Fire TV Stick, however, is a standalone unit with remote control and has a big-screen user interface. Google Chromecast is angled towards Google media services and Fire TV Stick is angled towards Amazon’s Prime services, as you’d expect. 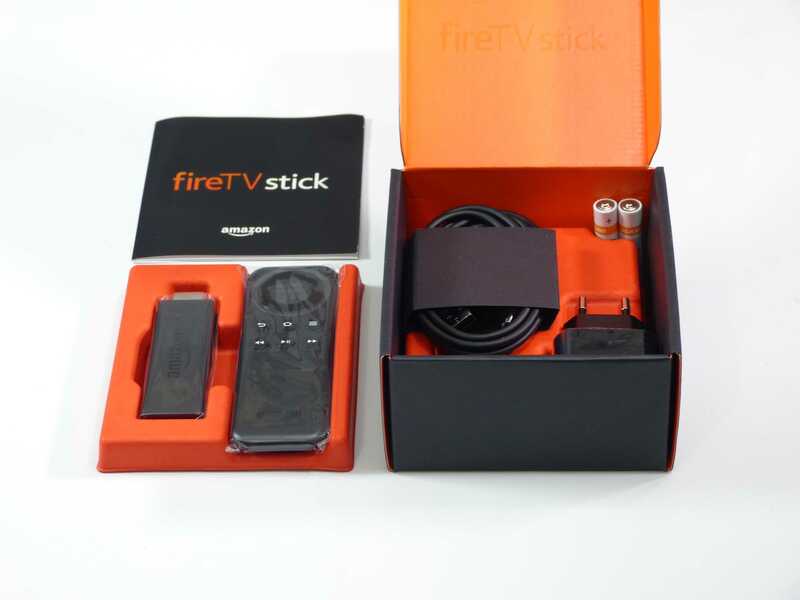 The attractive Fire TV packaging includes the HDMI ‘stick’ and the tidy little remote control along with a small HDMI extender, a USB power supply, a micro USB to USB cable, batteries for the remote. There’s an app available for iPhone and Android that will also drive the Fire TV Stick and enable voice control but I’m not testing that here. Amazon Fire TV Stick packing is excellent. Fire TV Stick powered through a TVs USB port. 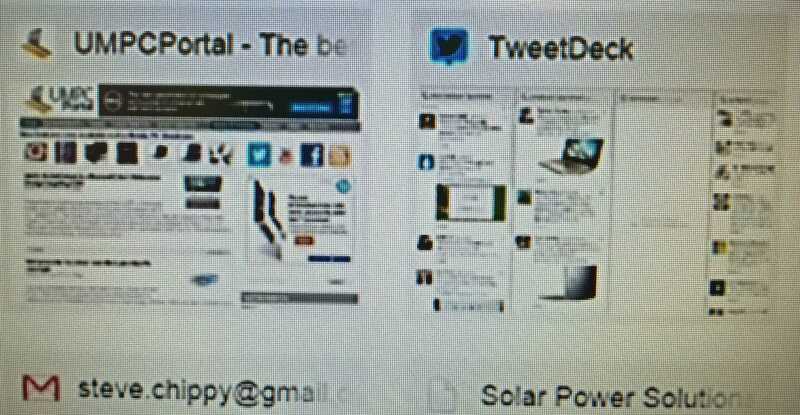 Amazon features and third-party apps. In addition to video, music and photos you can install apps and games (you can use a compatible Bluetooth game controller.) I tested the TuneIn Radio app and was happy to be able to stream my favorite channels and podcasts to the TV. There are health, cooking and education apps and apps that will display photos from Flickr, Google and many other places. There’s also a YouTube app. I noticed that the user interface inside apps isn’t as responsive as in the native UI but apart from that I haven’t looked deeply into this area. 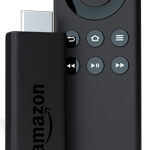 Assuming all the apps work well it appears to be possible to get a good value experience out of the Fire TV Stick without an Amazon Prime account. 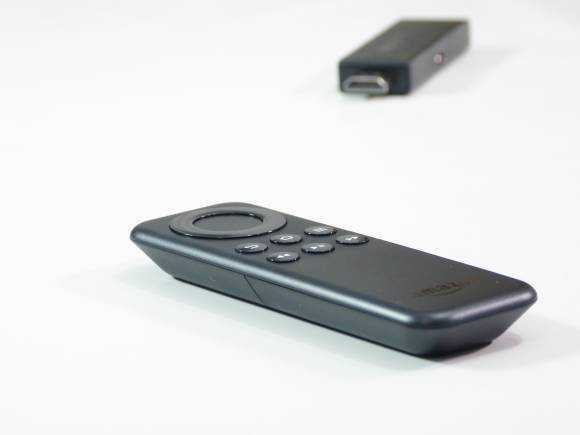 Amazon Fire TV Stick includes a WiFi Alliance Miracast compatible screen mirroring function allowing phones and PCs to send their screen to the Fire TV Stick for display. The feature has recently been updated (54.1.1.0_user_110041020 is the version I’m testing) to improve this and some work went into improving support for Windows 8.1 devices. Note that WiDi is an extension to the Miracast standard that includes some low-latency, quick setup, security and high bit-rate options but Fire TV Stick won’t support those. 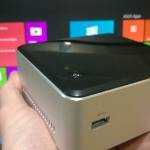 Windows 8.1 devices with WiDi should be able to send to Miracast receivers though. There’s no screen-sharing security on the Fire TV Stick by default so if you go into ‘Display Mirroring’ (under the settings menu) and enable it, anyone will be able to use the screen. 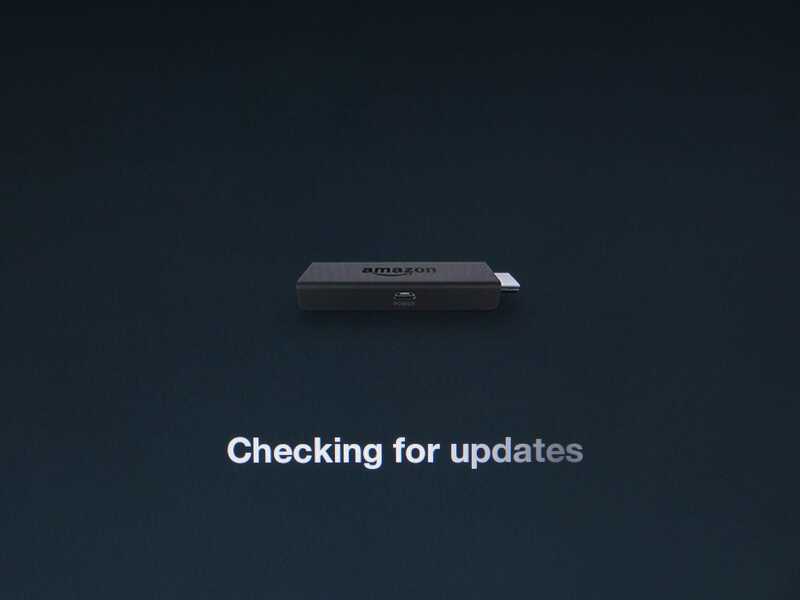 As the Fire TV Stick uses device-to-device (WiFi Direct) connectivity it doesn’t need a WiFi hotspot either. 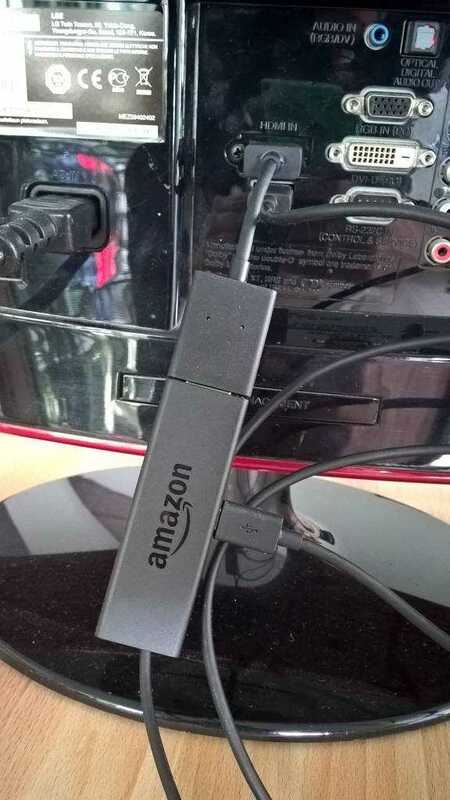 In many respects it’s good as it enables quick photo sharing from a phone but beware that once the Fire TV Stick is ready to accept a mirroring connection, the first one to connect wins the screen. 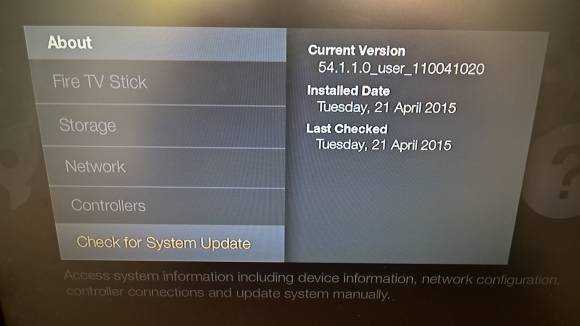 Fire TV Stick Software 54.1.1.0_user_110041020 used in this test. Lumia phones (and I assume other Windows Phone 8 devices) have ‘project my screen’ option in the settings. The Lumia 830 found the Fire TV Stick quickly and connected first time. There’s latency in the connection (my guess is 0.2-0.5 seconds) depending on connection quality) and the stream is significantly compressed. Color and definition is lost and I feel that the audio quality suffers too but for showing a quick YouTube video or sharing some photos it’s good enough. I also tried displaying a Powerpoint presentation and was impressed at how easy it was. For a full-screen experience you have to put the phone into landscape orientation but it was nice to have a no-wires experience. Screen zooming helps to highlight parts of a presentation. Music streaming via the Xbox Music app was almost stutter-free but I heard a couple of tiny breaks in the stream on average every 30 seconds. Local videos worked well but still had the occasional stutter. Of the three devices tested the Lumia 830 was by far the easiest to set up and the most stable. The Surface Pro 3 provided the most stimulating experience but it took a long time to get it connected to the Fire TV Stick (multiple attempts, reboot and restarts to get the Fire TV sick discovered and added as a device) and it wasn’t very stable, especially when the Internet connection (via a WiFi connected hotspot) dropped. 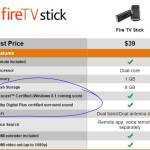 I saw the Fire TV Stick reboot a few times during my testing with the Surface Pro 3. Use the Windows Project menu while the FireTV stick is enabled for Display Mirroring. Adding the Fire TV Stick can be done through the Devices menu (available from the charms bar Devices option.) Select “Project” and the PC should offer an “Add a wireless display'” option. If it doesn’t you’ll need to make sure the Fire TV Stick is in Display Mirroring mode and try again. Alternatively go into the control panel and select Devices and Printers. The PC should show the name of Fire TV Stick in the device list and you should be able to select it. It’s likely that this attempt will fail and you’ll spent the next 30 minutes retrying, rebooting and restarting. Make sure your PC is updated as pending system updates can block the use of WiFi. Once you’ve added and connected the Fire TV Stick successfully to your Surface Pro 3 you’ll see a low resolution copy of your screen via the Fire TV Stick. If your TV is a Full HD model then set the Surface Pro 3 to 1920 x 1080 resolution. 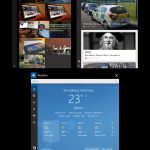 Also set the remote screen to the same resolution and use the Surface Pro 3 in landscape mode. One of the more interesting scenarios One Note, PDF Reader or Powerpoint with the stylus where documents can be annotated dynamically. It’s an impressive and dynamic way to hold a presentation but there’s one thing you need to be careful of. By switching the screens to ‘Extended’ mode one can run Powerpoint with notes showing on the tablet and a full display on the projected screen. I found the connection between Surface Pro 3 and the Fire TV Stick to be stable but occasional pausing, a few FireTV stick reboots meant that this solution is not recommended for real-world usage. There’s also the latency (which can go up and down) and WiFi smog to think about. When you test this solution, do it in a room full of WiFi devices to make sure it’s going to work. I’ve successfully held 30 minute presentations over WiDi with an Actiontec ScreenBeam receiver [I note that the ScreenBeam Mini 2 is now $34.99] but I would be wary of doing the same with the current Fire TV Stick firmware. Note that audio will be sent to the Fire TV Stick and if you want to play it locally (using Windows sounds settings you can change the audio output) it will be out of synchronization. 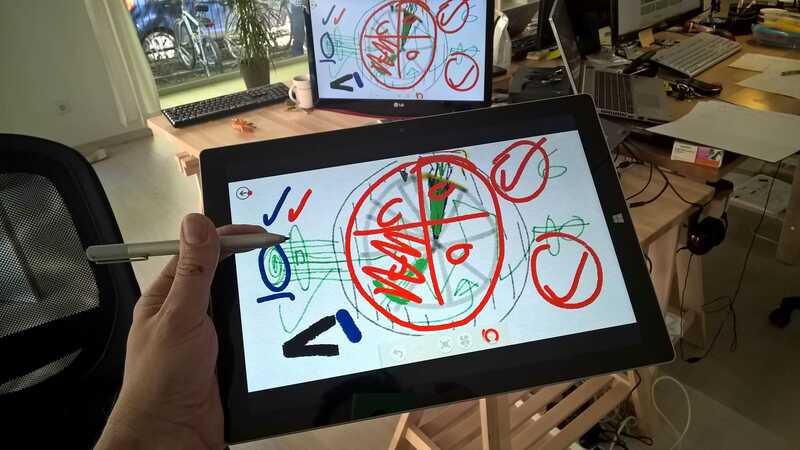 When it’s working, the Surface Pro 3 is the perfect demonstration of why wireless display is worth having. Screen quality on the mirrored screen is quite poor. Sub 1080p / 30 fps in my opinion. Original on left, mirrored screen on right. The Surface Pro 3 and the Fire TV Stick could be a great combination but Amazon and Microsoft need to do some more work together before it’s smooth enough to be reliable in a business situation. The Miix 2 8 is a 1280×800 8-inch tablet running the Baytrail-T platform that many low-cost Windows 8 tablets used from 2013 through to mid 2015. I wanted to see if one of these basic tablets worked but there were too many issues to be able to recommend this. That may change with Windows 10. Again it was a dance to get the Fire TV Stick recognised and added to the device list. Once it was connected it was clear that Display Mirroring wasn’t an option. Despite setting screen resolutions to the same setting and fixing screen rotation settings Windows 8.1 would not accept display mirroring (“Duplicate these displays” in Windows 8 talk) as an option. The Fire TV Stick would work as an extended screen but it is of no use whatsoever unless you’ve got a mouse with which to move and control Windows on the extended screen. There’s no way to push Windows on to an extended screen by using the touchscreen. Lenovo Miix 2 can connect to the Fire TV Stick, but not in any useful way. I’ve successfully used the Lenovo Miix 2 10 (also on the Baytrail-T platform) with WiDi wireless display before so maybe that would also work with the Fire TV Stick. 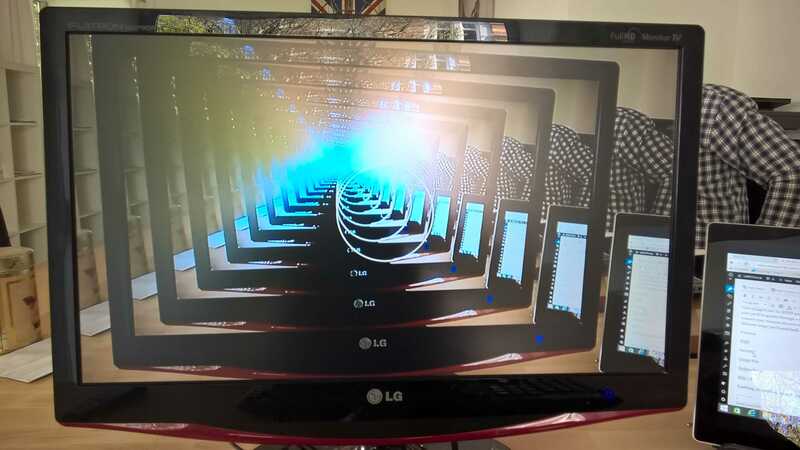 If it does it would indicate that low resolution screens don’t work with mirroring. 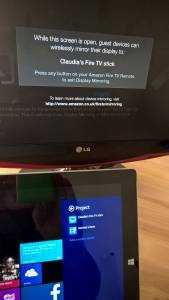 The Dell Venue 8 7000 is an 8-inch Android tablet that has a great 2K resolution screen and reasonable speakers which means that media playback on the device is a very good experience. After selecting “Enable wireless display” in the “Cast screen” option under the Display settings the Fire TV Stick was visible and connected quickly. 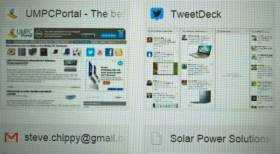 Latency was OK but as with the other devices tested here the mirrored image was compressed and weak in color range. A 1080p video played from YouTube was not enjoyable despite the easy set-up experience. Sending audio from the Google Music app was also a poor experience with dropouts and poor quality audio. Remember that this is a streaming + streaming setup and not a ‘director’ setup as with the Chromecast and Google music. The Lumia 830 did a better job streaming audio and video to the Fire TV Stick but neither were high quality or stutter-free. 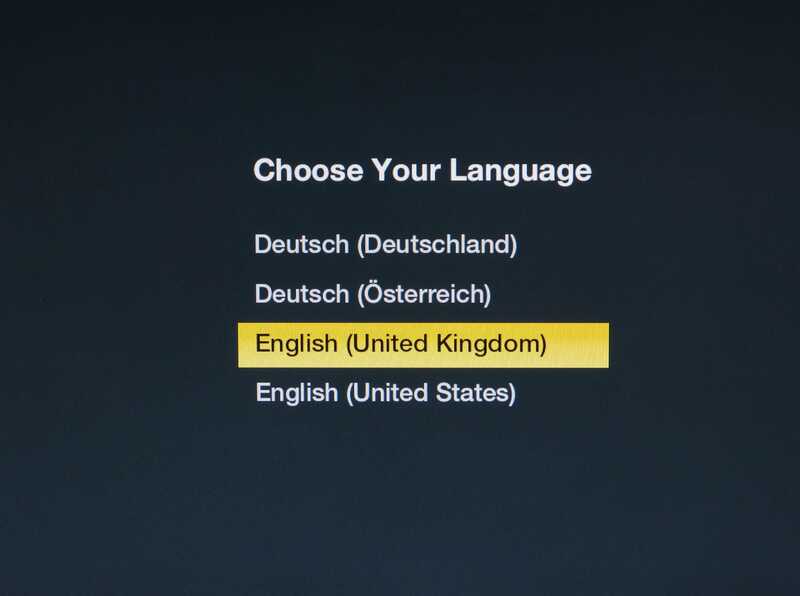 A word on Fire TV language and location in the EU. You can choose any language for the user interface regardless of where you are located. (Your IP address will define that for Amazon). Problems occur when you want to access content. Film content is licensed to a country and you won’t be able to use, for example, UK streaming content unless you use an IP proxy. For me, an Englishman in Germany, there’s a little bonus as, like Netflix, streaming video content in the Amazon store is often available with the original soundtrack as an option. There are also ‘original language’ (search for OV on the German Amazon store) films and TV series. When it comes to music that you’ve purchased via Amazon in another European country (and now have in your Music library) you can re-register that music to another country through your account settings. My UK-purchased music on my (multi country) Amazon account was registered to the UK only and did not show up in the Fire TV Stick. I was able to transfer that music over to Germany but it now means I can only access that music behind a German IP address. When I switched to my wifes account (German) her music became available but was blocked with a warning . I can enable that music but I can not change the music account to another one for 180 days. The situation is probably worse for video content purchased in another EU country. It’s a pathetic situation we have with media licensing in ‘free trade’ EU. Film, TV and music rights are all controlled by different bodies and all have different country agreements. If you’re moving from one country to another I can only recommend one thing – spend money on a good proxy to your home location. This is something I’ll be trying with the Fire TV Stick although I don’t see any obvious ‘proxy’ or ‘vpn’ options…for obvious reasons! Fire TV Stick or Chromecast? Our living-room TV has four HDMI inputs. Cable TV, Xbox, Openelec and Chromecast. After testing the Fire TV Stick I’ll be removing Chromecast and the reason is quite obvious – I use a Windows smartphone. Despite having my digital music collection in Google Music I will be looking out for a clean and stable solution for that on Fire TV and while I think Chromecast is excelent I’m pleased to be able to support some competition in this market. The Xbox remains as my gaming solution and cable TV remains as the live broadcast solution. 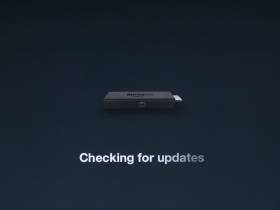 Fire TV Stick to replace dedicated KODI (previously XBMC) PC? Openelec (an alternative, ‘thin’ KODI build) stays installed on my NUC and connected to my TV. It remains the easiest way I’ve found to stream raw content (without a re-encoder) from a NAS and the device does not need any type of account to be used. Those who have a Plex server installed might not need an alternative local content streaming solution but I am a huge fan of the simplicity and stability of Openelec. 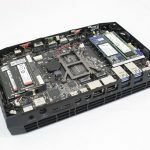 Here’s my NUC/Openelec setup and how-to. It is possible to install KODI / XMBC on the Fire TV Stick but it requires some effort. I might be moving my Openelec build from an Intel NUC to an iCOnsole Micro soon (Android OS with dual-boot ability) which will re-add a Google streaming capability to my setup. Summary: Miracast and Display Mirroring on the Amazon Fire TV Stick. 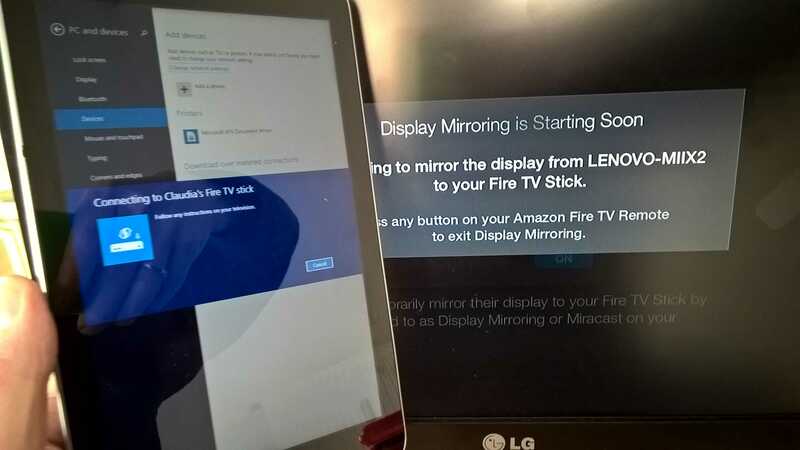 This has been a look at Miracast Display Mirroring with Windows and Android devices on the Amazon Fire TV Stick which is a well-priced, self contained, Amazon Prime-focused media streaming solution. Depending on your country you will see an extra list of applications that are likely to include Netflix, YouTube, local TV station apps, Plex and Twitch. In terms of quality you can expect a mid-range, sub-1080p solution based on my tests with streamed content and an Amazon Prime Video account. Some content, mainly films, are available to buy or rent in HD. The Display Mirroring results weren’t good overall but with the current firmware there are a few use cases that can be considered. The Lumia 830 and the Dell Venue 8 7000 would work for short Powerpoint or PDF presentations and quick photo share to a big screen or projector. There’s an exciting and potentially game-changing use case for dynamic and interactive wireless presentations using the Surface Pro 3 and similar pen-enabled devices but firmware need to improve to make this easier to set up and more stable to use. 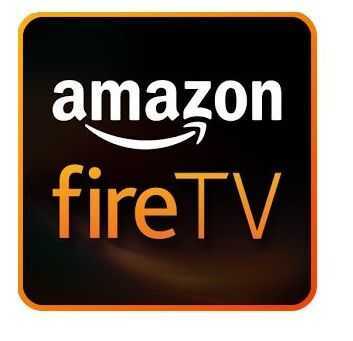 The Fire TV Stick should not be used for gaming or desktop screen usage due to lag and I can not currently recommend Display Mirroring for watching a high quality movie or audio from a device via the Fire TV Stick. At €/$39 it’s clear that Fire TV is made for Prime and it’s a must-buy if you’re a Prime customer. If not then you might find that it still has value based on the applications available. If you’re an Android / Google user then Chromecast probably remains a better solution. Fire TV display mirroring does not beat WiDi so ff you’re looking for a higher quality wireless display experience I still recommend WiDi and the Actiontec ScreenBeam Pro (I haven’t tested the Mini 2 version yet) for better video and audio quality along with lower latency options and improved access. The dream of having a WiDi-enabled HDMI streaming stick remains. Isn’t necessary?!!! Maybe not for you. 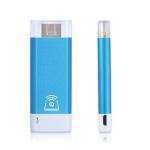 A pocket sized solution to plug into any HD tv and have it stream your HD content (video or powerpoint presentation, or even stream youtube videos?!!!) and all for 35 pounds?!! You cra-cray Steve. When connecting from my pc, I get a password prompt. Where could I find the default value? Thanks in advance. « After 9 months the Surface Pro 3 is still a great Ultrabook alternative.